From October 9 to the 15th is Mental Health week and coincides with World Mental Health Day on the 10th of October. It is dedicated to talking about and raising awareness of the illnesses associated with mental health. By generating discussion we can hope to debunk the stigma that is attached to mental health and initiate positive changes. The main focus of Mental Health Week in Western Australia is primed on suicide prevention, as part of an ongoing message from the Act-Belong-Commit community group. Mental health illnesses are extremely common as well as downplayed. Not only by those who don’t understand the illness but even by those that are suffering from them. As a result, when mental illnesses are ignored and left untreated it can have harsh long term effects. Furthermore, it not only effects the individual but also the family, friends and work colleagues connected to the person suffering. Mental health problems exist. They affect people in a way that consumes how they act, think and behave. Many factors can contribute to a persons wellbeing in a way that can result in mental health issues arising. This may include; hormones, brain chemistry, genetics, stress, social and environmental factors, financial problems, and the use of alcohol and/or drugs. The health problems that presents because of any of these factors vary person to person and can take on different types of mental illness. 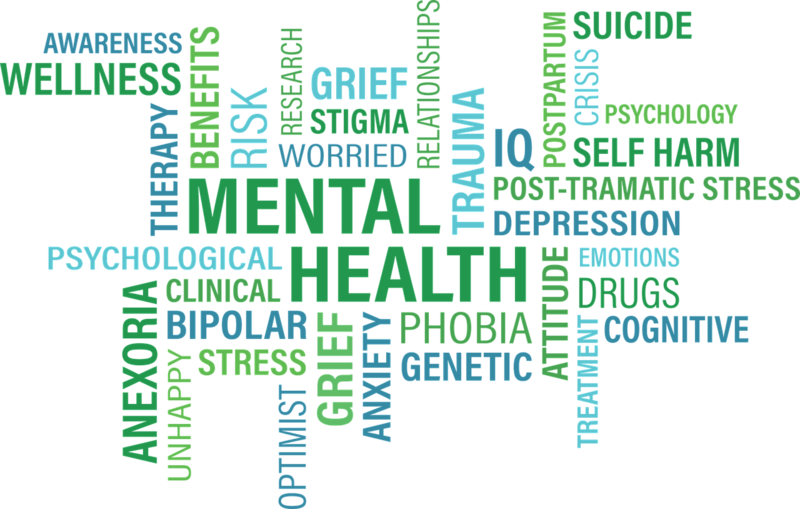 Some of the common mental illnesses include; Depression, Anxiety, Personality Disorders, Bipolar disorder, Eating Disorders, OCD and Schizophrenia. Each mental illness presents with symptoms that can be physically, mentally and/or emotional debilitating to the individual. Hence, without adequate understanding and support available these mental illness have unlimited potential to ruin lives. Since the stigma linked to mental illnesses can be incredibly damaging and isolating to a person suffering many people will not know how to reach out for help. Therefore, even before seeing a GP, many people suffer in silence in fear of being judged, discriminated against, or even because they feel shame. Education and support for treating mental illness, are becoming more prominently addressed and talked about in a bid to challenge the perception and stigma of what it means to have a silent illness. Getting help for treating a mental illness begins with being able to recognise the symptoms and reaching out to talk to someone about how you are feeling. There are a range of services available that can help in offering support, advice and information that can be beneficial in receiving treatment while gaining perspective and understanding.